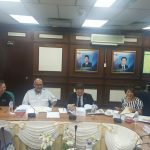 The judging day for The Outstanding Young Person of Sabah 2016 Award organised by JCI Kota Kinabalu was led by Yang Berhormat Datuk Haji Tawfiq Bin Datuk Haji Abu Bakar Titingan, the Minister of Youth and Sports on 11 August 2016. 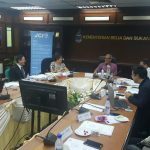 All nominations were scrutinized by a team of prominent and diverse judges such as Sabah Women Entrepreneur & Professional Association (SWEPA) President, Ms Wynnie Jong, Sabah Law Association President, Mr Brenndon Soh, Past TOYPS Honouree (2009), Dr Roland Chia. The Outstanding Young Person of Sabah (TOYPS) is an award organized by the Junior Chamber Kota Kinabalu (JCI KK) to recognize young Sabahan and Malaysian individuals in Sabah who has dedicated themselves to the progress or welfare of the community at large. There are many young Sabahan and Malaysian individuals that have excelled in their field of profession, practice and endeavor. 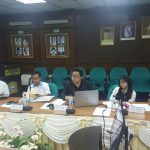 TOYPS is endorsed and supported by the Sabah Ministry of Youth and Sports. Great hope and endeavour are invested in this project by JCI KK. The winners of the TOYPS award will receive a customized trophy and will nominated for The Outstanding Young Malaysian (TOYM) Award. 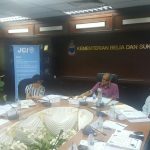 Yang Berhormat Datuk Haji Tawfiq Bin Datuk Haji Abu Bakar Titingan commended JCI Kota Kinabalu for organising a project that unearthed many unsung Sabahans in their respective fields. He presented the organising committee with RM10,000.00 in support of this project. The award ceremony will be held on 24th September 2016, 6.30pm at Le Meridian Kota Kinabalu, whereby all the honourees will be announced.